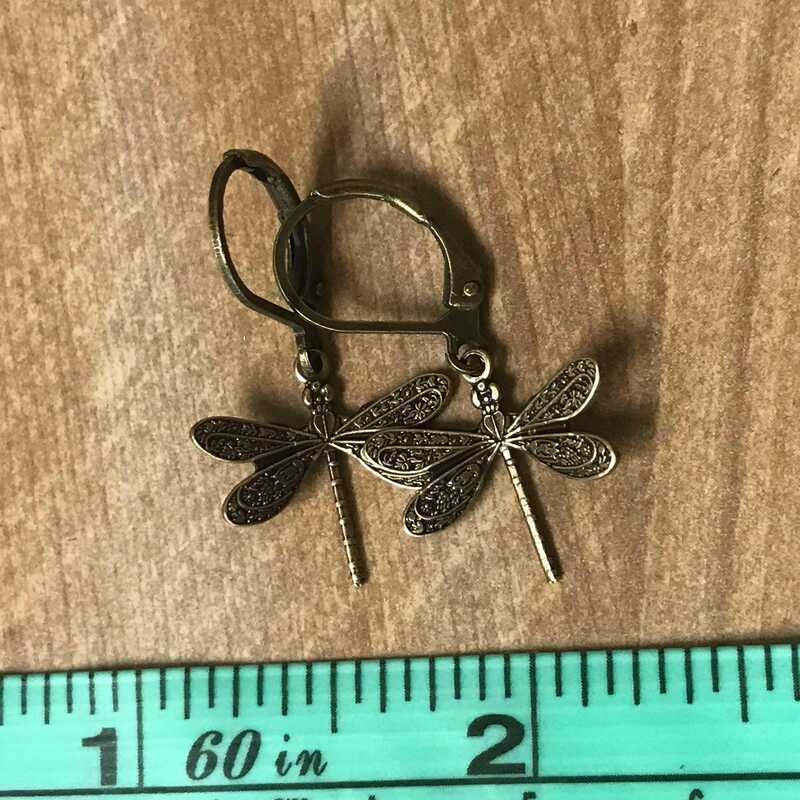 Brass Dragonfly earrings with brass ear hooks. 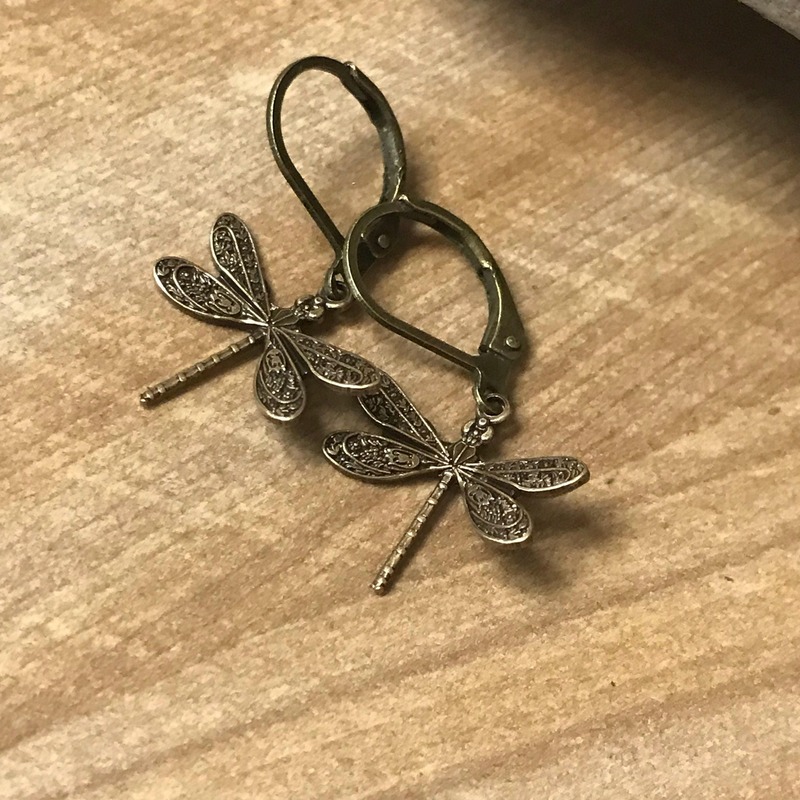 Made to go with many of the brass Outlander inspired Dragonfly in Amber items in the store. 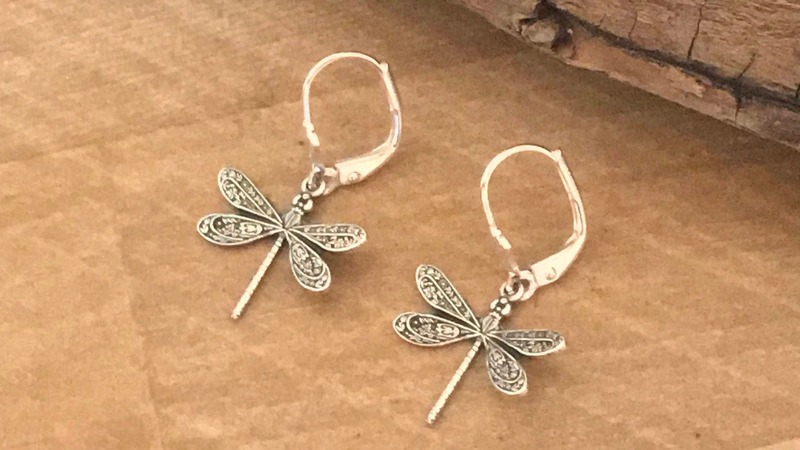 Silver Dragonfly earrings with sterling silver plated ear hooks. 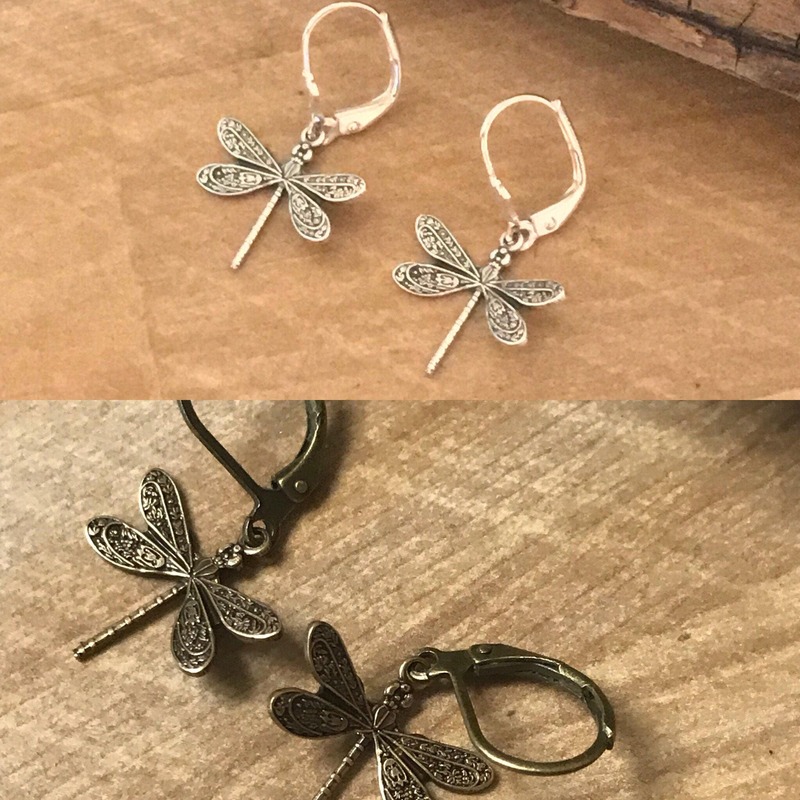 Made to go with many of the silver Outlander inspired Dragonfly in Amber items in the store. These are so beautiful. so much detail. I bought both the silver and brass, love them. Very nice size. They are so delightful and comfortable size. Just love them plus the service is great.